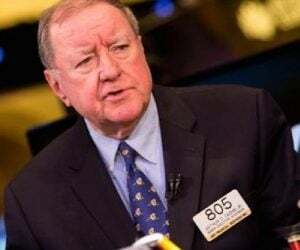 With continued uncertainty around the globe, today the man who has become legendary for his predictions on QE, historic moves in currencies, spoke with King World News about the evil plan by the elites to control humanity and $15,500 gold. Egon von Greyerz continues: “In the 1960s there was serious news and many programs which raised important issues in society or politics, which many people listened to and grasped. But today everything must be dumbed down to the lowest common denominator of readers or viewers. For a paper to sell or a television station to receive advertising revenue, any news must be superficial and short. Most content must have an entertainment or gossip value. Same with television. All serious matters are either left out or covered very briefly. We are now in the age of instant gratification. People’s attention can only be kept by short, superficial language, lots of big images and constant change of focus. On television, no camera position must remain on one subject for more than a few seconds because people’s attention span only lasts for a brief moment. Not only is the media dumbed down but so is the education system in the West. The general standard of education both at school and college level is continuously declining. I know this from my own background. Although I went to good schools, my father’s education was superior to mine and mine is superior to that of my children and grandchildren. The beauty of not educating people is that it is much easier for the politicians and powers that be to use propaganda and to manipulate the system. Nowhere is this more obvious than in the financial system. We have in the last 100 years, since the Fed was created, experienced the worst possible destruction of money without anyone being aware. For most people, this has involved a destruction of savings and pensions and a massive accumulation of debt, both individual and government. For the creators of this system, the beauty is that it has been done so elegantly that very few people are aware. 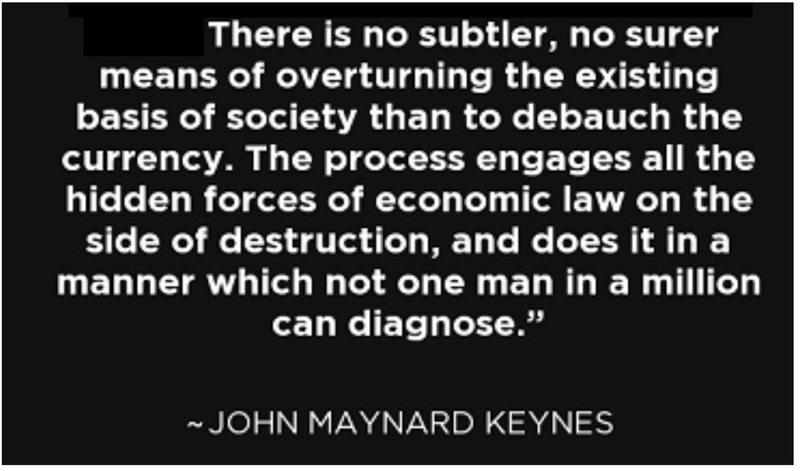 Keynes got many things wrong but the above statement was a revelation. The systematic destruction of the value of money is impossible for most people to measure or understand. People used to keep their savings in the bank and receive a real return on the money. But as the value of money was gradually destroyed, people lost their savings and started borrowing instead. No one understood that they were getting poorer. Only a minority had assets such as stocks and property that appreciated. 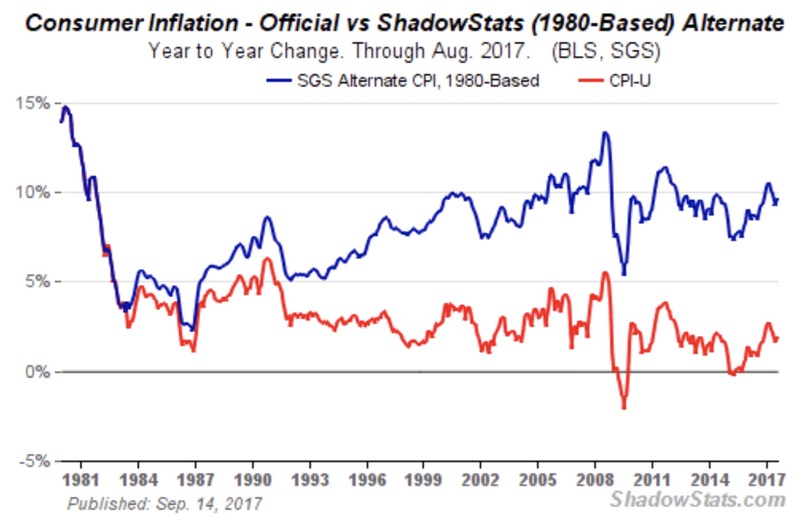 Most people did not realize that the value of their money was going down as real inflation went up. The second problem is that governments never publish honest figures. All statistics are manipulated in order to hide the truth. Official inflation figures are always below the real inflation rate. This is done to hide the mismanagement of the economy and to save on indexed payments such as social security and pensions. 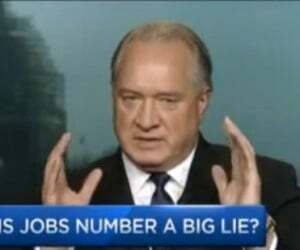 John Williams Shadow Government Statistics helps us to find the truth. Just look at his real inflation calculation since 1981. Real inflation has always been well above the official figures. As the graph shows, real inflation is currently just below 10%, which is 8% above the official figure of 2%. Throughout history, gold has been an excellent indicator of real purchasing power. 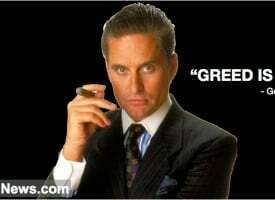 For example, a good suit for a man cost 1 ounce of gold 2,000 years ago and costs the same today. The reason gold tells the truth is, as opposed to paper money, it can’t be printed. Gold is also a store of value. That is certainly not the case with paper money, which is just a liability since it is only based on debt. The qualities of gold are also proven in terms of its longevity since it is the only money that has survived throughout history. Just look at what has happened to all the major currencies since the Fed was created. In the chart below, gold represents stable purchasing power with the straight line at 100. We can see how the Mark first collapsed in the early 1920s due to war debts and unlimited money printing. 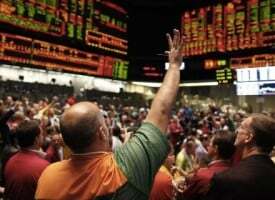 The UK and Japan followed as they abandoned the gold standard. And then we have the spectacular fall of the dollar form 1971 when Nixon gave up the gold backing. Few Americans are aware that their real purchasing power has declined by 97% since that illustrious day on August 15, 1971, when Nixon sold the US down the drain. It is now only a matter of time until the dollar goes to ZERO. Since 1971 money printing and credit expansion has grown exponentially. But the average American doesn’t have a clue because the media never discusses ‘irrelevant’ matters like the destruction of the US currency and economy. It is much more important to follow what Justin Bieber is doing or who Trump’s team talked to before the election. The US is now on the verge of economic, political and military collapse. Based on history, most countries in that situation will start a war. Let us hope that this does not involve a major nuclear conflict, the consequences of which will be disastrous for the world. What is guaranteed is that the final stages will involve massive money printing leading to hyperinflation. This is the only remedy left to a bankrupt nation that has not had a real budget surplus for soon 60 years. Very few have experienced hyperinflation but the ones who have know that it happens a lot quicker than anyone can imagine. If we look at the Weimar Republic in Germany in the early 1920s, we can see how quickly it goes. 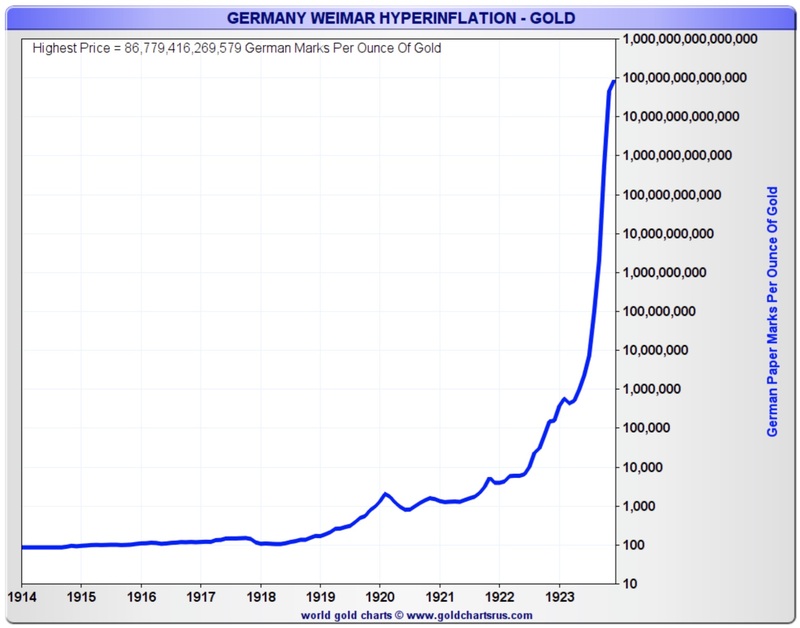 The chart below shows hyperinflation measured through the gold price. From early 1919 to early 1920 gold in Marks went up ‘only’ 10x. Then it went up another 10x to the middle of 1921. And then gold really took off, or more correctly money printing went wild. So from mid-1922 gold went from 10,000 Marks to 100 trillion Marks in 1923. Could we see a similar move in pure fiat currencies coming years? Well, we will only know afterwards. What we do know is that global debt has gone up exponentially in the last 2-3 decades. We also know that none of this debt can ever be repaid with real money. If we include derivatives and unfunded liabilities, we are looking at a debt level of $2.5 quadrillion. That is 35x global GDP, an astronomical figure that is guaranteed to lead to catastrophe. We just had the proof from the BIS (Bank of International Settlement) in Basel last week that derivatives are another form of debt. 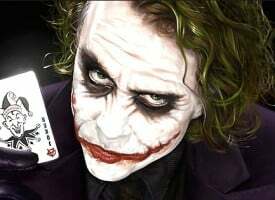 The BIS discovered that $14 trillion of Forex swaps was just a method of hiding debt off balance sheet. This is really nothing new since Goldman Sachs had already illicitly assisted Greece to hide their debt in 2001 in order to fall within the Eurozone criteria. This was also done with currency swaps. All this confirms that the derivatives must be counted as debt, especially when the counterparty fails. I get comments from some people who are concerned that the gold price is not going up fast enough. 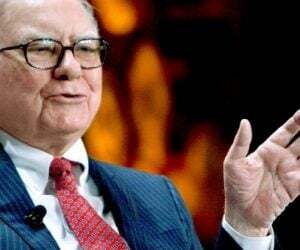 For people who are not speculators or short term investors, gold is bought for the very important purpose of wealth preservation. 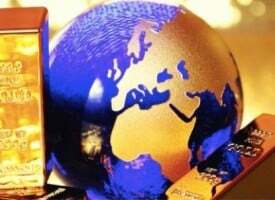 Gold is owned for insurance against a rotten world, financially and economically. When we buy insurance, it is not because we want the risks we are protecting against to happen as soon as possible. When we buy fire insurance, we know we need to have it before the fire. But once we have it, we are not hoping for the fire to start straight away. But if it happens it is good to have. Gold is really the best insurance that anyone can own because it has an intrinsic value and it appreciates over time against paper money. 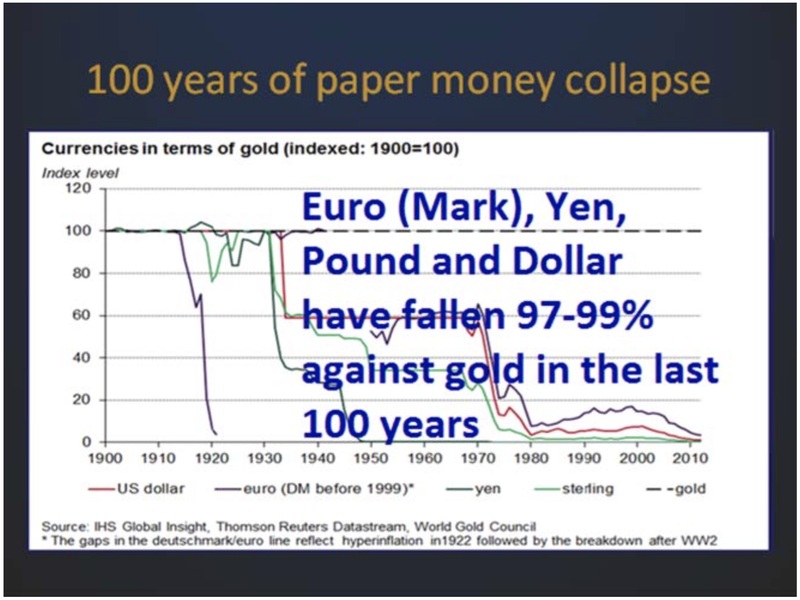 If and when gold reaches $100 trillion, like with the Mark in 1923, the world will have massive problems. So it is not really something to look forward to. 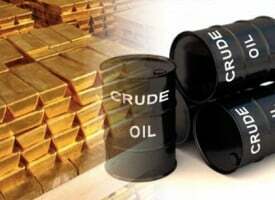 But what we do know is that, at that point, our capital is protected (by owning gold) as most assets, including stocks, bonds and property, will collapse. The coming hyperinflation might not be as high as in the Weimar Republic. 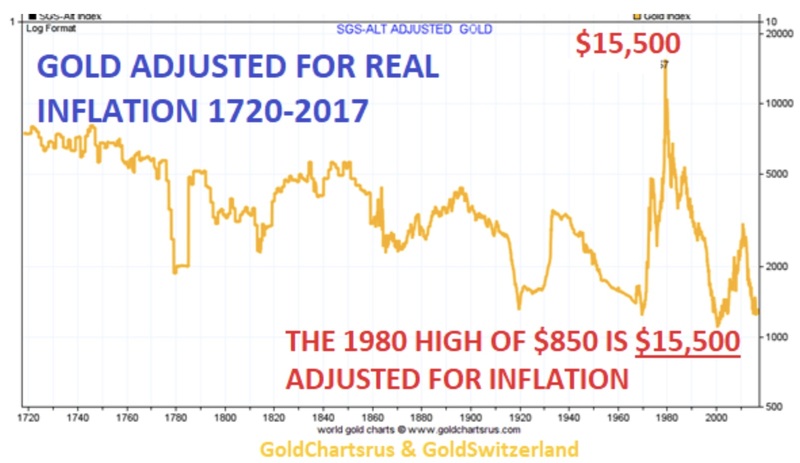 But even if gold just goes up to the inflation adjusted level since the1980 high, today it would be a jaw-dropping $15,500. 1980 Gold Peak Is $15,500 In Today’s Dollars! ***KWN has released the timely and powerful KWN audio interview with James Turk and you can listen to it by CLICKING HERE OR ON THE IMAGE BELOW. ***ALSO JUST RELEASED: James Turk – After The 2 Week Takedown In Gold & Silver, Here Is The Big Surprise CLICK HERE.